I'm a creative writer with a background in life coaching. Belinda Nicoll is a multi-skilled professional with a creative portfolio in marketing content, nonfiction and fiction. As a published author, NLP-certified life coach, and skilled copywriter, she possesses excellent communication and people skills. Whether working on her own publications, critiquing creative manuscripts, or producing content for corporate clients, Belinda applies her aptitude for research, passion for language, and knowledge of sensory-based communication to craft compelling stories and convincing messages that create rapport between diverse audiences, motivate behavior, shape attitudes, and bring about transformation. Originally from South Africa, she moved to the U.S. in 2001 and has been a citizen since 2010. She is the author of Out of Sync, a memoir about expatriation that explores how globalization impacts relationships—having experienced how quickly adventure and excitement can devolve into chaos and despair, her story also demonstrates that change, however merciless, is always the most profound catalyst for personal development. As a world traveler with a keen interest in cultural diversity, Belinda brings a strong international perspective to her coaching and writing. Her and her husband’s journeys and careers have taken them through large parts of Southern Africa, the USA, Europe, Ireland, Canada, the Middle East, Mexico, and to exotic islands such as Hawaii, Mauritius, Phuket, The Comores, St. Thomas, St. John, and Gran Canaria. Author / Coach / Copywriter - works as a life coach and book consultant. While my passion is working with people, I find my own inspiration in creative writing. 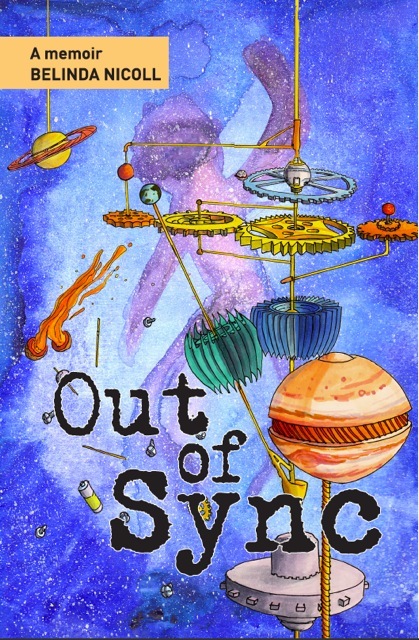 Out of Sync is an expat memoir set in post-apartheid South Africa and post-9/11 America that explores transformation and the effects of globalization on relationships.